In some ways, the comeback made it worse. The Tampa Bay Lightning, behind 3-0, scored two goals in 20 seconds to pull into a tie against the Toronto Maple Leafs Monday night. The Bolts ended up losing 4-3 to the Leafs. “We played well enough to get points out of this game," Lightning coach Jon Cooper said. "That’s probably a little discouraging, especially the last two periods. We had a lot of chances.I've had a front row seat to watching our goaltender get points for us, and Mike's watching his goaltender get him points." The Bolts fell behind 3-0, with two of the goals by William Nylander. 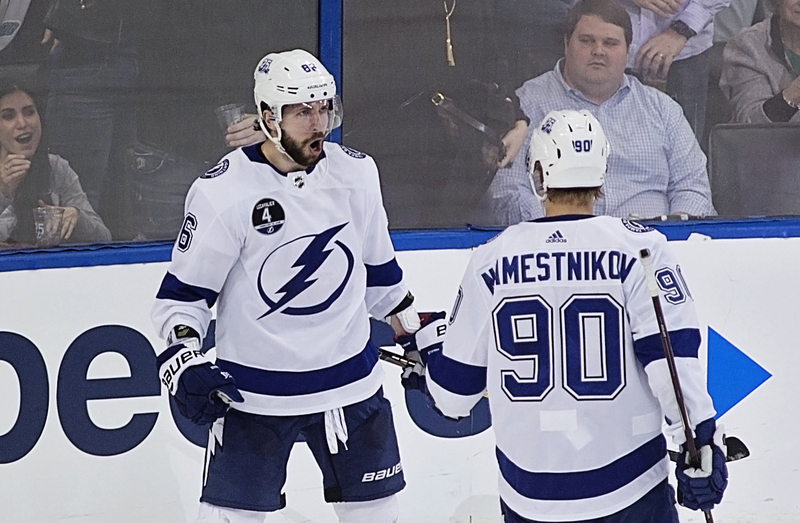 But the Bolts came back with a second-period goal by Alex Killorn and a pair of quick goals by Nikita Kucherov (his 30th of the season) and Yanni Gourde (his 21st). But James van Riemsdyk scored the winner with 4:37 to play. "We’ve got to defend better," Cooper said. "We still gave up some chances, and goal scorers put the puck in the net. We gave up more in the third period against Los Angeles than we did the whole night tonight. Scoring three goals, you’ve got to get points in this league." Andrei Vasilevskiy gave up four goals on only 23 shots. The Bolts travel to Buffalo for a game tonight. The puck drops at 7 p.m. I don’t blame you. The Lightning can score on anyone. But they give up too much ice. Previous post: Do you think you know Tampa Bay sports? Next post: Who’s that guy standing by the star?